Famous droid C3PO had a red arm In last year's Star Wars The Force Awakens. The reason why was explained in a Marvel comic in April and then acted out in a bonus game level added to The Lego Star Wars The Force Awakens in August. The level is called "The Phantom Limb" and so far is only out for PS3 and PS4. 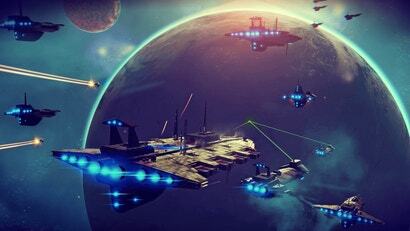 That really stinks for everyone who doesn't have a PlayStation, since it is both a good addition to Star Wars lore and a minor breakthrough in Lego game level design. "I feel quite certain that I have never associated with anyone who turned evil," C3PO replies, as oblivious to the revelation in the Star Wars movie prequels that Anakin Skywalker built him as so many of the rest of us wish we could be. Without spoiling everything about the level, it should suffice to say that C3PO and O-MR1 have an adventure that leaves the former with a red arm. It's a good, short story. 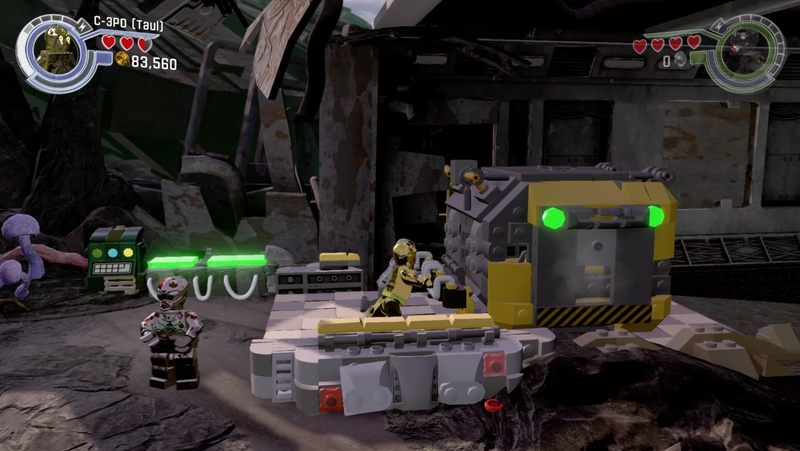 It also unfolds across the first Lego video game level that I can recall that uses adversaries, in this case C3P0 and O-MR1, as the level's two playable characters. These games always present two playable characters in a mission. A solo player can swap between the two, or a second player can drop in and control the other. Usually the two characters are on the same side: both are Rebels or DC supervillains or Harry Potter classmates or what have you. Pairing adversaries adds a tiny bit of tension to the standard pairing and is something the series' designers might want to play with more. "The Phantom Limb" is a very good level. 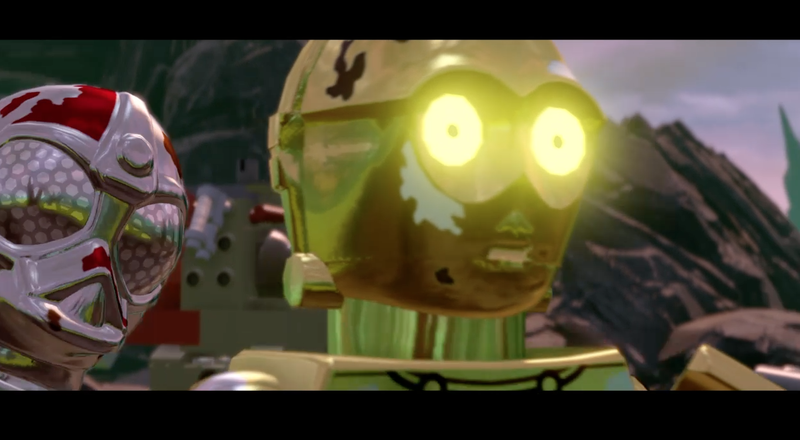 It even builds on a level that all Lego Force Awakens players can experience, a bonus mission called "Trouble Over Taul" that gives movie scene-stealer Captain Phasma a chance to shine in a mission that directly leads to C3PO and the other droids crashing. It'd be better for all players to see what happens next. The original Lego Star Wars game had a level where Anakin and Obiwan had to play through a level while fighting each other, at the end of episode 3. It did not make much sense for them to go from working together to open doors to fighting each other to the death but it has happened before. 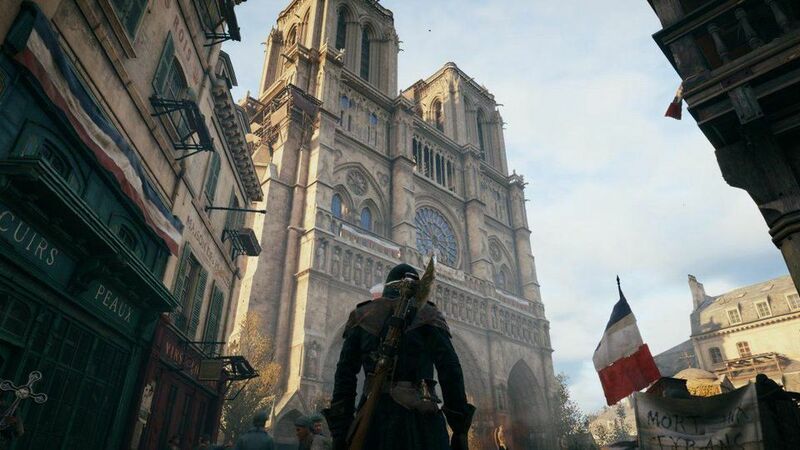 As an Xbox player, I am very keen to play this level. Along with the Ant Man and Civil War for Lego Avengers. Both have left their exclusivity period but haven't appeared on Xbox yet. I fear this will follow the same suit and remain exclusive forever. Just like holding out hope that TT will patch bugs out of their games. In B4 the fanboi calls come, I play both, enjoy both, but I've started sinking my gaming dollar into my Xbox account. I want something that will give me some guaranteed mileage, and not something that maybe possibly be compatible with next-gen but, judging by Sony's recent anti-consumer policies, I'm guessing not. The first Lego Star Wars game had two payable characters as adversaries too, in the final level with Obi-Wan and Anakin. It was amazingly well done then too.